Who knew there were so many good hackers out there? As we continue to become a more connected society, the importance of cybersecurity is growing. That’s why companies like Google welcome good-guy hackers to help find holes in their systems or products, such as the Google Pixel. In fact, a Chinese hacking team found a weakness in the smartphone and exploited it in under a minute. The team, called Qihoo 360, was participating in PwnFest, a hacking contest and security conference in South Korea. 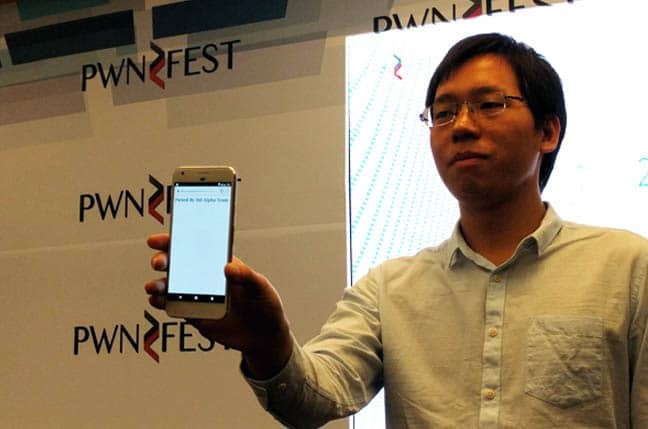 Qihoo 360 remotely accessed the Pixel to send hack codes that launched Chrome and displayed a web page reading “Pwned By 360 Alpha Team.” The team was awarded a $120,000 bounty from Google, who now is working on beefing up Pixel’s security. In the wrong hands, such a hack could compromise a user’s personal data, which criminals can use maliciously. Two years ago, Qihoo 360 performed a similar hack on a Tesla Model S, where they were able to remotely control the locks, open the sunroof, and interfere with the traction controls and charging system. These hacks demonstrate how vulnerable our technology can be. Internet safety is getting trickier, and more support needs to be placed toward cybersecurity measures. Hopefully, these hackers stay on our side.